Yeah that Y looks cleaner than the T. We should paint htem flat black then it will be a stealth. If you dont have a cap to plug the solenoid, use a screw and a piece of hose to make a plug. That what i was going to use initialy but then i dropped it in the engine bay somewhere and managed to find a kit with vacuum caps. This mod i would say would be equivilant to a $200-$300 performance gain. Some of you have been asking how you hook up the bov and do the EDAL mod at the same time, well here is a good picture of it. YOu can see two Tees in this pic. fun modification. no more bog/lag between shifts. MTS and Lil Goat's method is much easier and is reversible in only a few minutes. As far as I understand it, the ECU reduces boost when additional mods are installed, in order keep the vehicle on the programmed torque lines. Does this mod keep that from happening? If so, I would guess that the ECU would then lean the AF mixture to achieve the same goal. Would the ECU be "dumb" enough to lean the mixture to the point of potential engine damage, just to limit power? Last edited by Codeman; 05-02-2007 at 08:12 AM. 2002 Trans-Am Firehawk - PT76-GTS, 230/230, 15psi. woooh! 2005 Legacy GT, T3/T04S 61-1 rotate, 22psi. woooh! 2007 Solstice GXP, EBC, Magnaflow. woo...limp. doh. [email protected] w/ 2.0 60' Damn it, I need a tune! [email protected] w/ a sideways 2.3 60' Better tires required. I couldn't really test it out yet but took more time to find the stuff in the autostore then to attach them. I also couldn't find any clamps that resemble the stock ones. Try the other store and hope they have them. - Kappa pouch "with power seat"
Can the solenoid simply be gutted so this mod looks completely stealth? Just did this mod on my Sky. Will see if it changes anything. $8 for me at PepBoys, but I bought extras in case I screwed it up. 15 minutes under the hood, since I literally have never done work on a car before (not even an oil change). Was quick and easy - very detailed description. Had a hard time getting hose #1 in the diagram above off of its male counterpart, but a good bit of force eventually removed it. 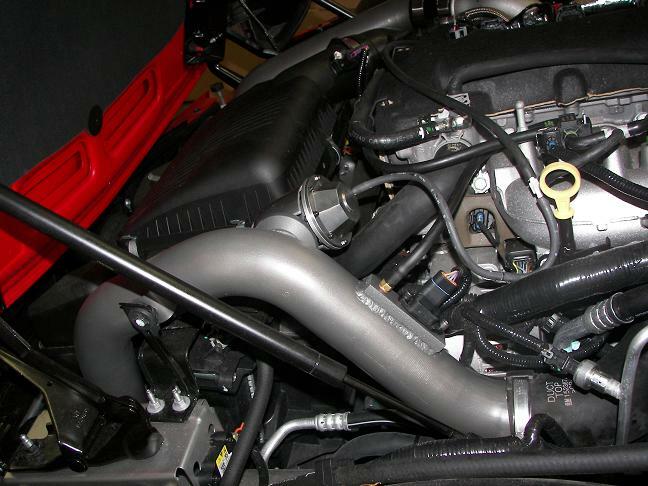 Most noticeable to me was how much more quickly boost was gained once the turbo was engaged...1 PSI...3PSI...18 PSI. Also, I feel as though I noticed that the BOV and turbo itself were both making more noise during acceleration - but maybe that's just because I was paying extra careful attention. Strongly recommend this to anyone that owns a pair of pliers and a pair of scissors. ummmmm.....isn't the turbo ALWAYS engaged? it just lets the boost out when you aren't accelerating. when you put your foot down it closes the door to trap the air in and that's when boost climbs. correct me if i'm wrong. I installed this mod twice...Don't like it!!!! 1) Kills the great sounds of the blow off valve between shifts. 2) Can allow a surg in power if you punch it in a small area causing un-intended acceration. 3) From my testing could see no value add. Just my opinion, and opinions are like a$$holes, everone has one! Future so bright I have to wear shades!!! Mean, dark side, ebony leather w/red stiching, LSD, ABS, AC, Monsoon 6CD changer, mats , headliner, stability control, XM, power pkg., convenience pkg., chrome wheels, sport peddles, Fiam Air Horns, Magnaflow, De-badged, shortened waste gate rod mod. I originally performed the mod but didn't really like how it changes the driving. I have it back to normal now and like it much better. I know a few that did the same.